When my parents went on vacation to Vietnam, I requested a couple bottles of pure 100% authentic fish sauce from Phu Quoc. My parents are from Phu Quoc, and Phu Quoc is known for fish sauce and in the eyes of many, it is the best in the world. 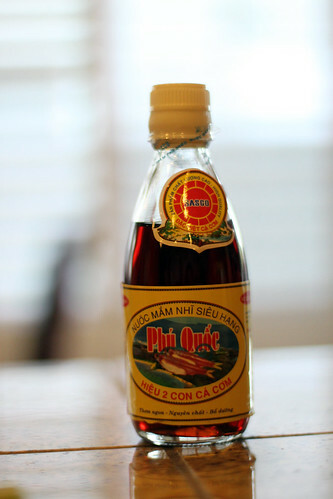 If you go to the local grocery store and see bottles of fish sauce with the name Phu Quoc on it, don’t be fooled! It is not imported from Phu Quoc. It is actually a blend of Thai and Phu Quoc fish sauce and made oversees and sold in the US. You won’t be able to find the real deal Phu Quoc fish sauce in the states. After tasting, I think the Phu Quoc fish sauce is really good, but the stuff I’m used to buying at the grocery store has sweet taste to it which makes the sauce more balanced. This is a simple recipe and easy to make. 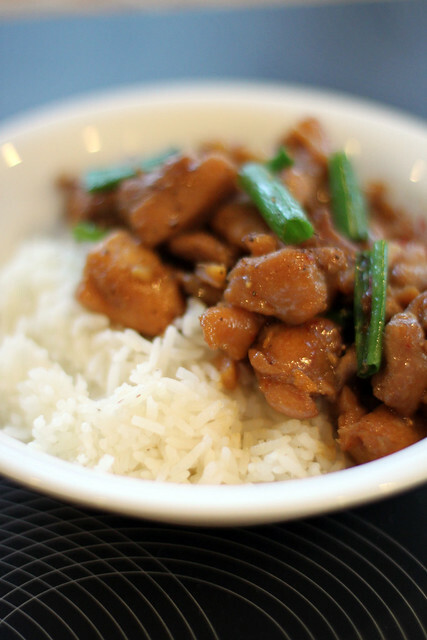 You can substitute ginger with finely minced lemongrass. 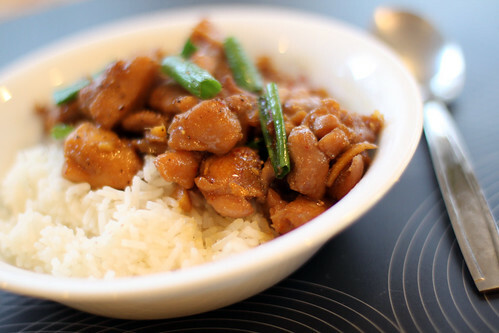 You can ALSO keep the ginger and add lemongrass to make ultimate chicken dish. Cut chicken thighs into 1 inch or bite-sized pieces. 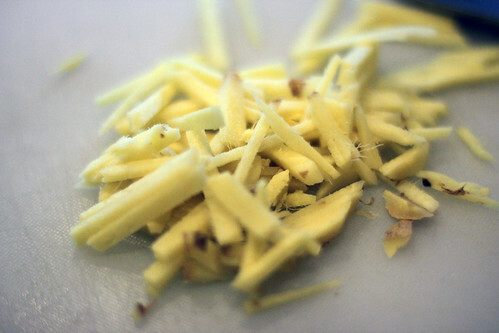 Clean, peel, and julienne ginger. 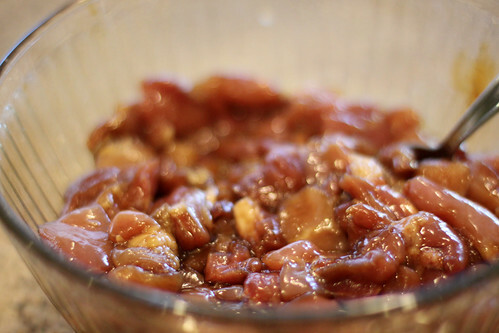 If you don’t like big pieces of ginger, you can also mince ginger as well. Add fish sauce, sugar, Coco Caramel Syrup, and julienned ginger to chicken and mix. Cover and marinade for at least half an hour. Prepare garlic, shallots, and Thai chilies and set aside. Heat wok on Medium High and add 1-2 tablespoons of vegetable oil. Add garlic, shallots, and Thai chilies until fragrant. Add Chicken and sear chicken until brown for a few minutes on each side to lock in the flavors. Add water or chicken broth and simmer until sauce is reduced to desired consistency.